The anticipated fifth-generation full-size iPad will employ the same thin touch sensor Apple first introduced last year in the iPad mini, according to a new report. The anticipated details on Apple's next iPad reported on Monday by The Wall Street Journal are in line with earlier rumors claiming the device will sport the same "GF2" screen technology. That's expected to help allow the device to be thinner and lighter than its predecessors. To date, Apple's existing full-size iPad have used GG touch tech. The new GF2 screen will also help reduce power consumption, thus allowing Apple to use a smaller battery and aiding in reducing the size and weight of the tablet. Monday's report cited unnamed sources who indicated the same "film-based touch panel" found in the iPad mini will make its way to the fifth-generation iPad. The company behind the technology, Nitto Denko Corp., plans to double its capacity for touch sensors by the end of the fiscal year. Apple's next iPad is expected to take other design cues from the iPad mini, including a thinner bezel on the sides of the device, allowing the overall frame to become smaller while still offering the same 9.7-inch display. It's also possible that the fifth-generation iPad will include stereo speakers, like the iPad mini. To date, there have been a number of parts leaks corroborating those rumors that the next full-size iPad will essentially look like a bigger iPad mini. 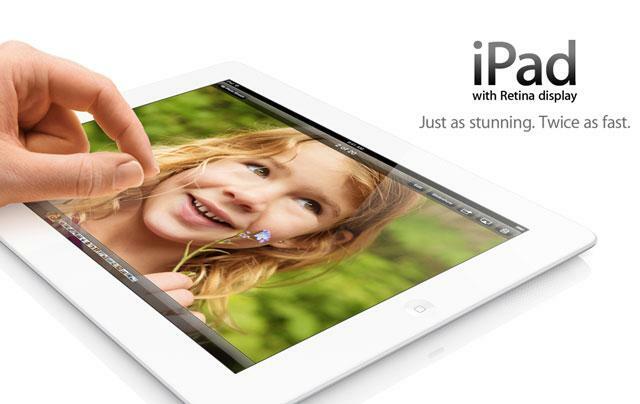 It's expected that Apple could introduce the fifth-generation iPad as soon as September.